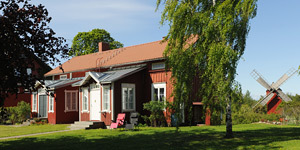 Rent a cottage or house on Eckerö, Åland. Bagarstugan is located in child-friendly and peaceful, car-free surroundings 1,5 km from Käringsund beach and 500 m from Storby centre. From the terrace, the wild enclosure with deer and wild boar can be seen. 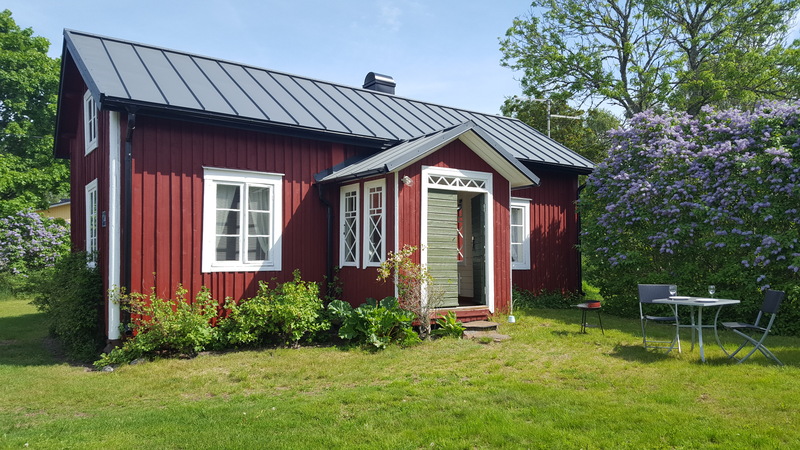 If you want to experience something really different you can stay inHärbret – a snug house, fitted for winter use, with two floors, 500 mfrom Storby centre. Härbret is privately situated, 1,5 km fromKäringsund beach. Our newly renovated summer cottage is something a little bit extra for two people. It is small and cosy. The cottage is peaceful and private situated with beautiful and shady grounds. Once upon a time the lighthouse keeper’s family lived here with a view over the sea. 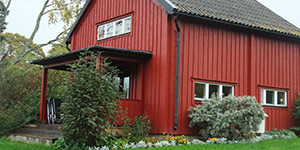 Fyrvaktarstugan is situated in the heart of the beautiful surroundings of Käringsund, 1,5 km from Storby centre. 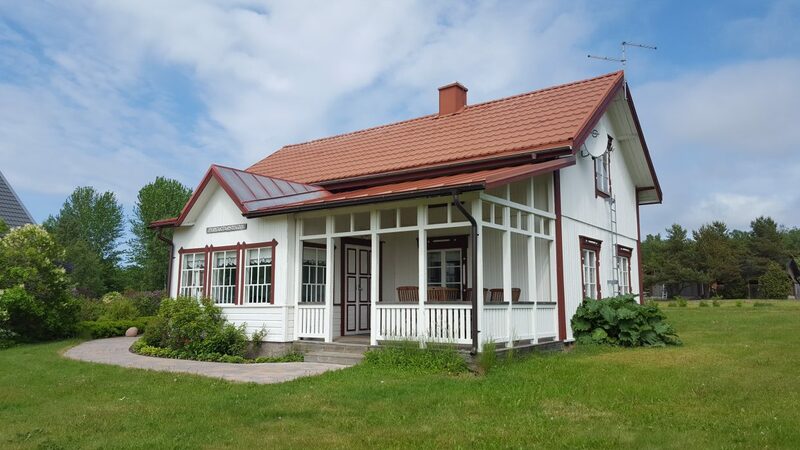 Our newest house First Lady is situated in Käringsund with Fyrvaktarstugan as a neighbor. Partly glazed terrace facing west and south and a balcony with gorgeous views over the Fishing village to the Sea of Åland. 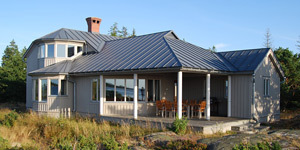 We have decided to call Långöjen our luxury house, with its fantastic view across the Sea of Åland. 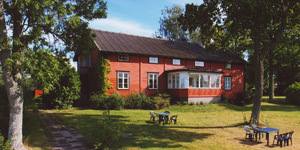 The house lies furthest out on a peninsula in north-west Eckerö, 7.5 km from Käringsund’s village. 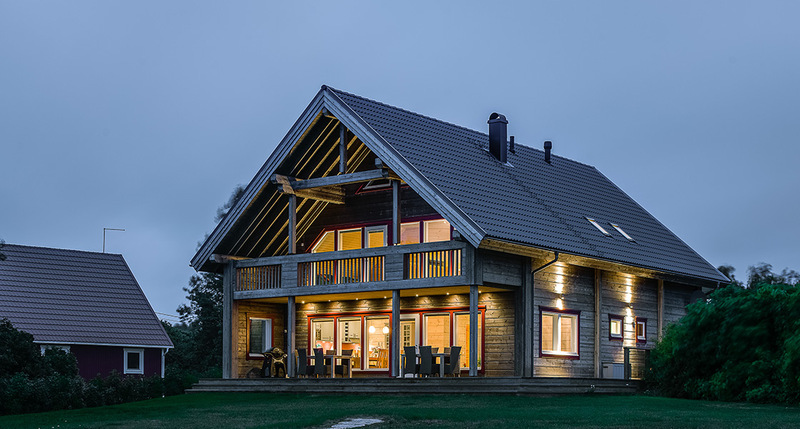 At Granberg’s Guesthouse, you can stay in the middle of the countryside and still be close to services and shops. It is about 1,5 km down to Käringsund’s village. Among other things,there is a sandy beach with shallow water.